"Surrounded by the Shops, Restaurants and Bars"
Playa Real Estate Group is proud to introduce BAHAY, the latest project from one of the Riviera Maya’s most reputable and reliable developers, Grupo KAUA. 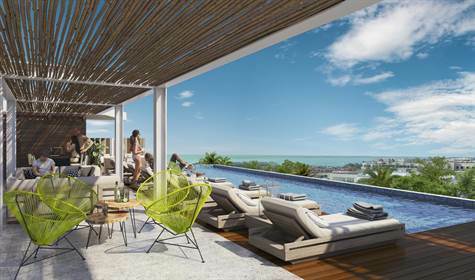 BAHAY is a fresh modern condominium complex of 30 units and will be built in one of Playa del Carmen’s most popular residential areas, Coco Beach. BAHAY is poised to attract a steady stream of vacation renters. You and your guests will certainly enjoy the fantastic location these ocean view condominiums have to offer!